Saints Painting has extensive experience with all types of exterior surfaces. 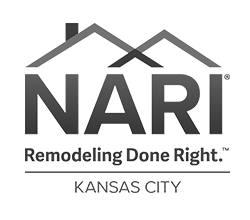 And being local in Kansas City we know the best paints, application techniques, and durable preparation products for our weather. You can rest assured we have the trade knowledge to get the job done right. Wash: It is imperative to make sure the exterior surface is clean before starting to paint. This ensures our work will last longer and look better. All storm windows will be removed and cleaned prior to re-intallation. Scraping/Surface Preparation:Removing all loose paint down to a sound surface helps guarantee that paint will adhere properly. 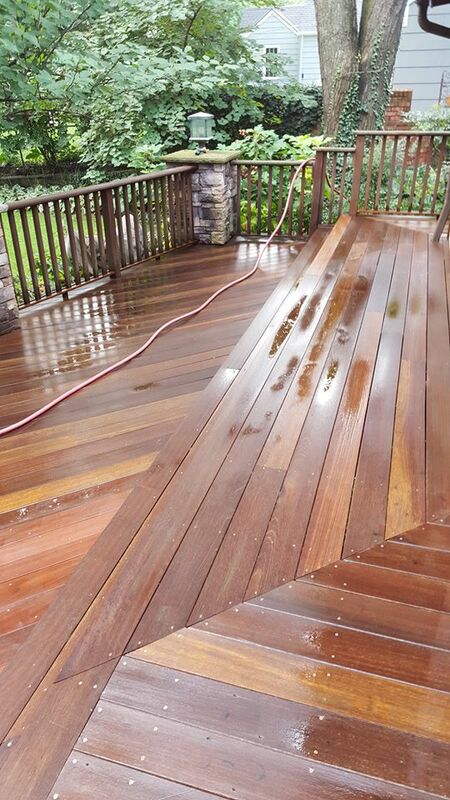 The top coat is only as good as the integrity of the surface it adheres to. 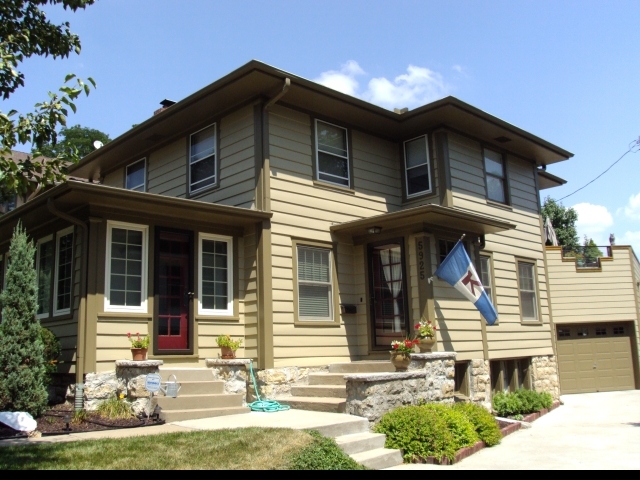 During the estimate we will evaluate any boards, trims, or siding that needs replacement. Let us repair your home before we paint it! Priming: All bare and scraped surfaces will be primed with the appropriate highest quality bonding primer. Stain blocking primer will be used on all tannin bleed wood species. Caulking: All cracks and gaps will be filled with the highest quality elastomeric caulk. We make sure that your house is water tight and attractive. This step helps improve the efficiency of your house and keeps pests out. Quality materials: We calculate your cost using only top shelf products. We don’t cut corners when it comes to caulk, primer, and finish paint. We use only the best! The exterior of your home is a reflection of you. You want it to look beautiful. When your guests are arriving for a special occasion the exterior painting of your home provides a positive first impression. When you come home from work it makes you feel proud. You work hard and your home is an investment. 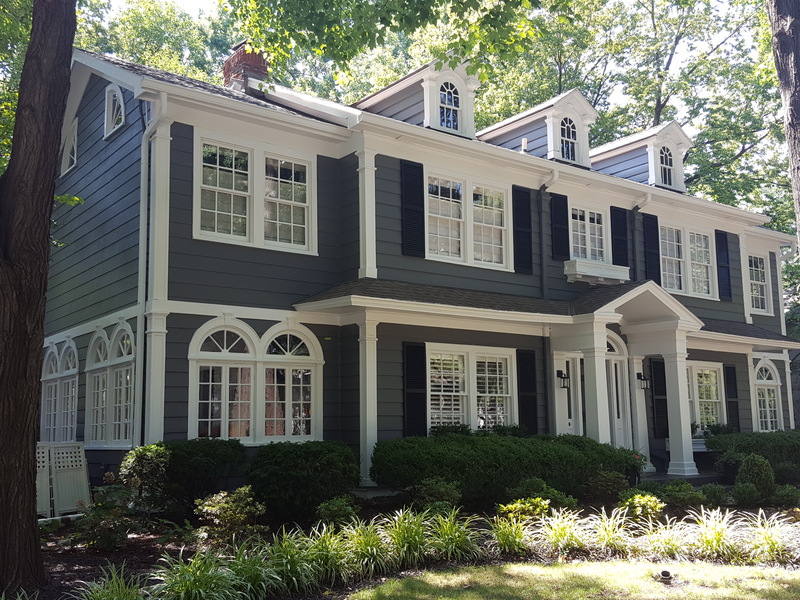 Keeping up on your exterior painting will promote a healthy value for your home. Delaying exterior painting only creates more surface preparation and costly wood replacement in the future. 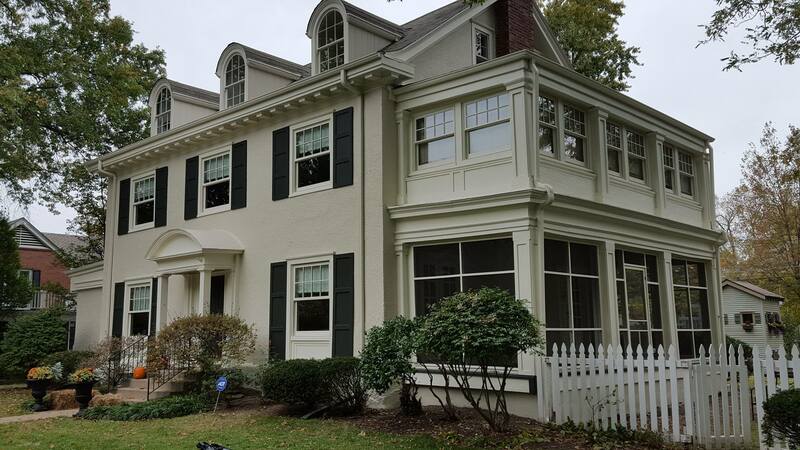 We understand exterior painting is a maintenance issue. Let us provide you the best for your money. The longer you can go between re-paints the better the value. 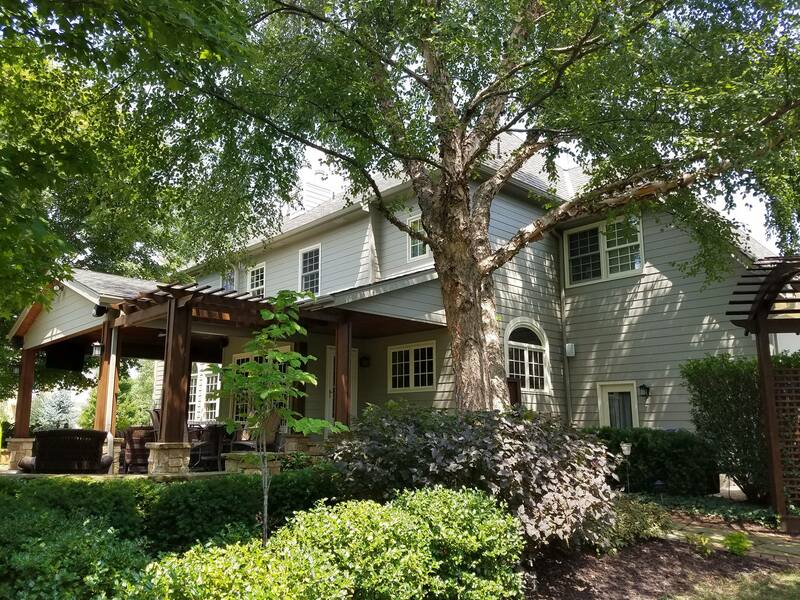 When you work with Saints Painting for your exterior we will use our experience, trade knowledge, and attention to detail to keep your home healthy. 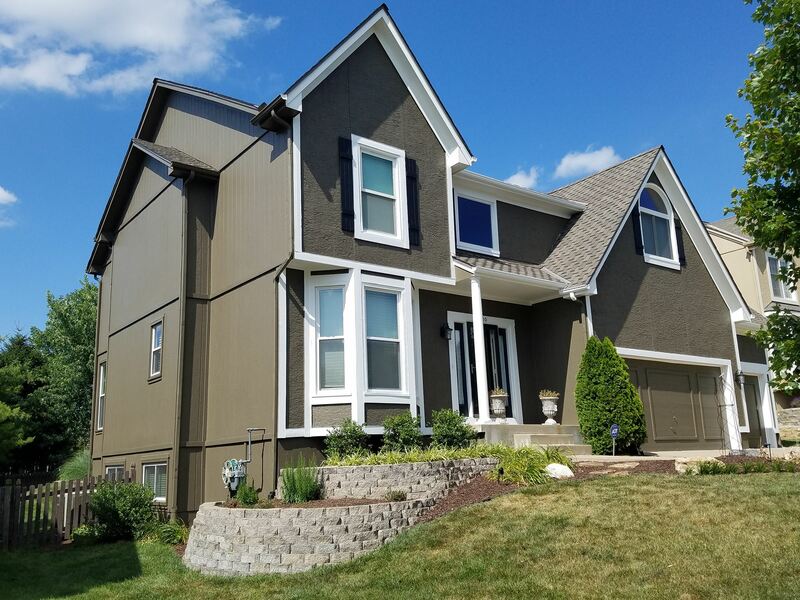 At Saints Painting in Kansas City, our estimates are free. To aid in the decision making process on your next painting project, we are more than happy to provide you with a list of references for projects similar to yours.